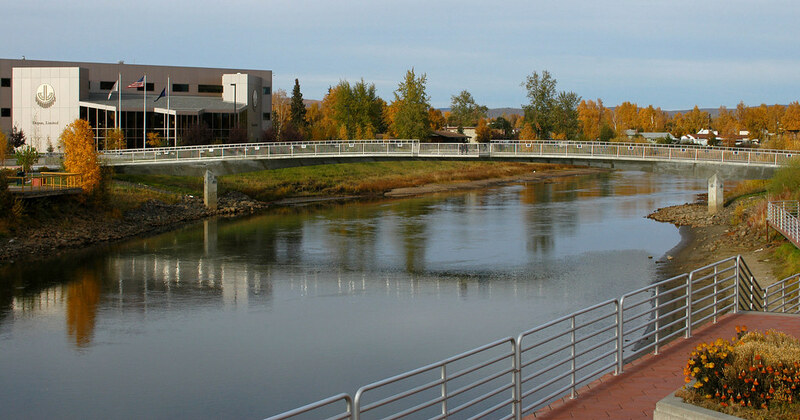 Spanning the Chena River between Griffin Park and the Golden Heart Plaza on the south bank and the Doyon Building on the north bank, this dramatic bridge provides both a transportation link for cyclists and pedestrian traffic and an elegant focal point for the downtown area. 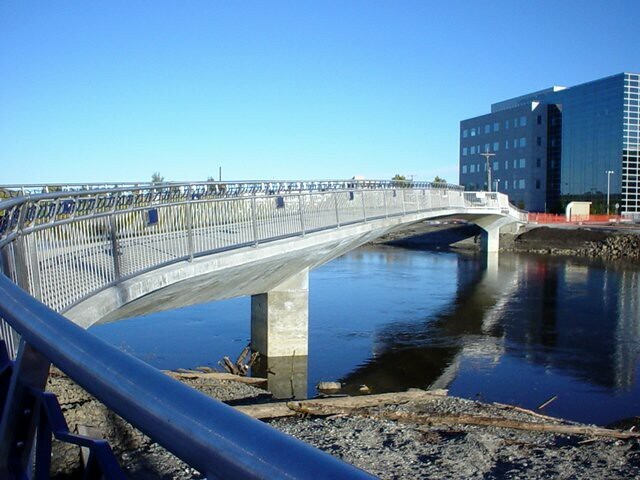 With input from bridge specialist Jack Christiansen, P.E., and artist Ron Senungetuk, PDC designed the slender 250-foot structure using post-tensioned cast-in-place concrete to create a unique non-prismatic girder. The controlling parameters governing the design were aesthetics, efficiency, and elegance, and the finished product became an instant icon for Fairbanks. 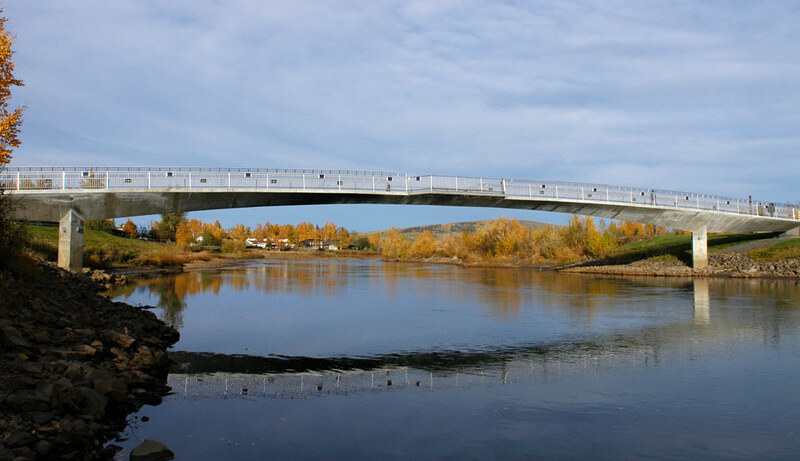 The bridge’s clear span structure minimizes impacts to the river habitat and recreational traffic on the river. Bank stabilization and revetment were required at the bridge abutments. Landscaping, riprap, and willow staking were used to satisfy the resource agencies’ environmental mitigation requirements while enhancing the visual appeal.